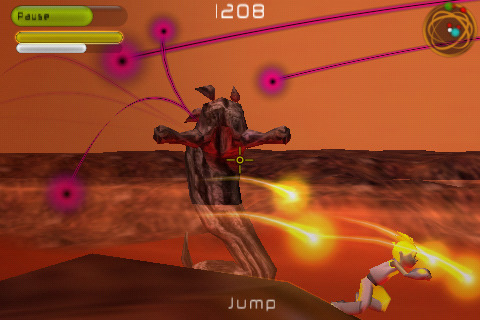 Caster HD is a 3d action shooter for the iPad and the iPhone/iTouch. 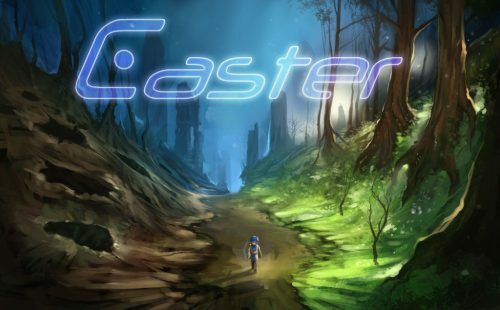 It is basically a revamped version of “Caster”, the same game from similar developers released a few months back, to make it look better and play better (perhaps?) on the iPad. I am rather Sad to say that the iPads have yet to reach my country and would not be coming any time soon due to the latest delay of shipping globally. Therefore the game is actually reviewed using the iPhone device to play it and all experience reviewed is purely based on the game being played on the iPhone. Caster HD is now out for $4.99 at your local appstore (or if you don’t intend to play it on your iPad, get the older version Caster at $2.99). In the game you play as a Caster being assigned to defend and protect the Middon region of bug like creatures known as Flanx. To do so, you are given tasks and missions to complete and the main objectives of each mission are usually along the lines of either killing all enemies, collecting all energy orbs or restoring life to a specific special tree. Story isn’t really the main point of the game as it is rather shallow and doesn’t do much to make the game any better. That aside you get to choose the gender of your Caster, male or female, as well as the name. It doesn’t affect the gameplay much so just choose as you please. You start off with a tutorial which is a really helpful thing for it gets you to know the basics of the game for example the control scheme etc. After completing so you get to embark on missions. Before starting a mission, you have the option to use credits earned in missions to upgrade your weapons and yourself. A nice touch to the game making it rather addictive for people who want a leet caster. As you progress through missions, you get to see new weapons and face new monsters along the way. Each mission can be completed within 5 minutes or so and thus resulting in the game being fast paced action packed but also short living. Controls take a lot of time to get used to it. Even after getting used to it, you might get frustrated at times because of the sheer lack of space and hardware limitation (can’t blame the developers I guess, this is one of the better control schemes I’ve tried among iPhone games). The left side of the screen is where you control the movement while the right side controls the camera angle and the aiming. Movement works something like pushing an invisible dpad but you might find yourself struggling to work in a straight line or move as you want to. The right side aiming and camera angle adjustments are done by just dragging and pulling the camera around, simple and effective. To shoot you simply tap on the screen once. Tap and hold to have continuous fire while aiming. 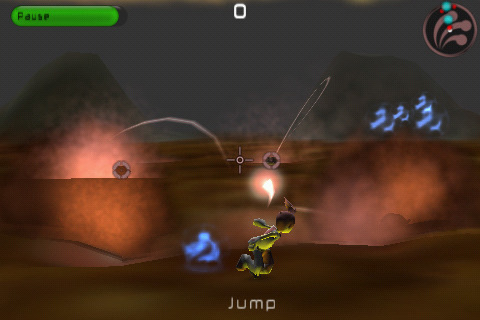 Double tap on the movement area to dash and to jump tap the jump button. It is fine at first when you face easy enemies and when they are coming at you one at a time. However, once the battle gets a little more cluttered, frustration comes as you try to move, shoot and see at the same time. Thumbs are often in the way when trying to look at the enemy positions and when enemies are all around the aiming becomes really tough. I would prefer some sort of semi aided shooting scheme or something to make it much more enjoyable. Such an action packed game ought to have smooth fast gameplay but with such controls it might be a little harder to do so. What is impressive about the game is the terrain deformation engine present within the game. As you blast your more powerful weapons later on (or rather watch enemy perform their different attacking moves), you will notice how the terrains shift and gets modified. It does provide some additional strategic elements to the game. For example if you wanted to reach a higher ground you might have to create a lump in the ground so as to reach the higher areas. Not much influence though but the sheer look of it is worthwhile. 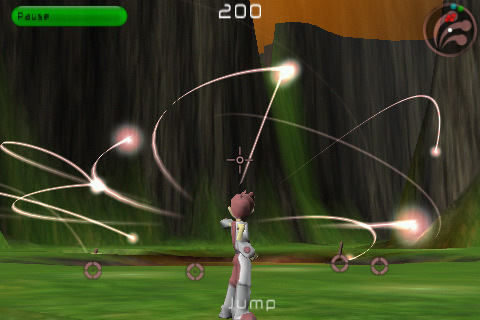 Blast your weapon at the ground and watch a huge hole form and the nearby landscape gets crumpled up. Really cool engine to implement and it just makes the action much more interesting. The visuals are alright but the levels seem way too bare and thus boring. I mean of course there might be hardware limitation problems but it simply can’t be just land and a few trees lying around. Maybe some different coloured textures or something to make the environment more interesting. Lucky for the terrain deformation engine else the atmosphere and environment would be really dull and ugly. The weapon effects are fine some with rather cool special effects to it. The exploding effects of the enemies are also welcomed as you feel a sense of accomplishment as you destroy those ugly bugs. The music is exciting and gets you pumped up to start killing the Flanx. Both aspects the graphics and sound suits the theme of an action packed game. Presentation wise this game does well. Menu presentation however does need some revamping for it looks way too cheap and boring. If you want an action packed game, Caster might be a game for you. Just an advice is that if you don’t have the iPad I suggest you get the non HD version since it will probably be the same gameplay with the non HD one being less expensive. Play the lite version first to get a feel of the game and decide for yourself whether it is worth it or not. For me, Caster is not a must buy game but if you have the extra cash you might want to try it out. The game isn’t long but the developers do state that there will be free additional levels later on as updates. – Terrain Deformation is interesting. – Variety of weapons and some are rather fun to play with. – Upgrading weapons and character make the game more addictive. 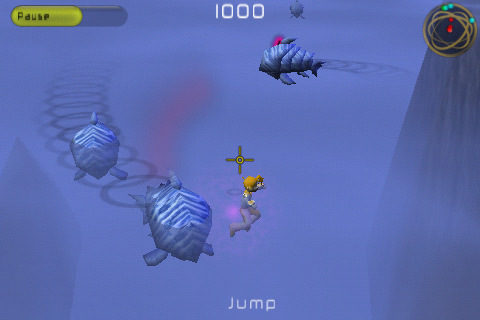 – Variety of detailed graphical effects of weapons and enemy attacks. – Free additional levels in future. – Controls need some time to get used to. Frustrating at times even after getting used to. – Plain atmosphere and environment in levels. – Short game as of review. Might be longer once updates are available.